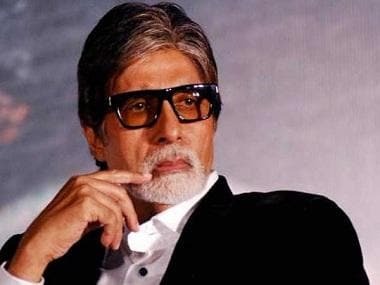 Bollywood superstar Amitabh Bachchan is making his debut in the Tamil film industry with the upcoming film Uyarntha Manithan, co-starring actor-director SJ Suryah. The mega star of Bollywood has declared himself to be a disciple of late Tamil superstar Sivaji Ganesan. Recently, a few pictures from the sets of the film were also doing the rounds on the Internet. Big B himself took to his official Twitter account and shared the stills which features both Amitabh Bachchan and Suryah in the frame. In one of the images, Suryah and Amitabh are both looking up while in the the other Big B is dancing all alone in a room with a backdrop of Shivaji’s picture hanging on the wall. Sivaji was an actor, producer and composer with more than 250 Tamil films, apart from Telugu and Malayalam titles to his name. He reigned the Tamil film industry for decades and was also honoured with four Filmfare Awards South, one National Film Award (Special Jury) and the Dadasaheb Phalke Award. Uyarntha Manithan’s shooting is currently going on and the film will bring Ramya Krishnan and Amitabh together on-screen 20 years after they were last seen in Bade Miyan Chote Miyan. Directed by Tamizhvaanan, the film is said to be simultaneously made in Hindi and Tamil. SJ Suryah, during the launch said in a statement, "Even before I ventured into showbiz as an assistant director, I craved for this moment to work with him (Amitabh Bachchan. Now, to see it happening sends gold rush into my veins, but at the same time, I'm nervous to imagine that I am going to share the screen space with him," reported India Today. 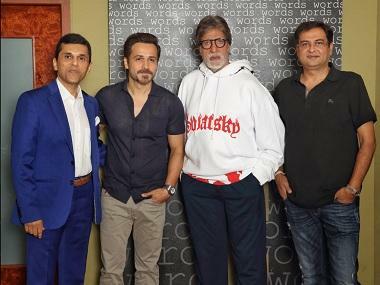 He also went on to reveal that Big B had set aside 35 days for this project alone. Apart from Uyarndha Manithan, the Bollywood star will also feature in the lead role in the Telugu period drama, Sye Raa Narasimha Reddy.